Suicide and self-harm are a preventable cause of injury and death if individuals are given correct care and help at the right time. Yet in Australia suicide has become the leading cause of death for young people aged 15-24. In 2015, the overall suicide rate was 12.6 per 100,000 people in Australia – the highest rate it has ever been in over a decade. Over 3,000 deaths as a result of suicide were reported in 2015 which is equivalent to eight or more deaths per day in Australia. Unfortunately, for every one suicide committed it is thought that there may be up to thirty attempts, which could mean at least 65,300 suicide attempts per year (1). Self-harm can be defined as deliberately injuring oneself. For many young people, self-harming is a way to deal with and sometimes alleviate intense emotional pain and overwhelming feelings or memories. Many people who self-harm will try to hide their behaviour and injures and will display major changes in their moods, sleeping and eating routines, social withdrawal, avoid situations in which they may need to expose their arms or legs, and have a drop in their school, work or home performance (2). It is estimated that almost 90% of people who attempt or commit suicide are dealing with a mental health disorder, therefore in an in-patient clinical setting these patients are likely to display traits of challenging and difficult behaviours with their healthcare providers (3). Steinart et al (1999) found that more than half of mental health patients in an in-patient setting exhibited aggressive behaviour, which included self-harm during their hospital admissions. Since then, many studies have focused on substance misuse amongst patients who have mental health disorders. This factor is of importance as misuse of drugs and alcohol addictions are associated with an increase in violent behaviours and criminal offences committed by people who have mental health problems (4). When assessing people who may be considering or have recently attempted suicide, clinicians must remember the patient is under psychological or even situational distress. Therefore the clinician needs to act thoughtfully and sensitively in their assessment process – a respectful and therapeutic clinician can be a strong and shielding factor which helps a patient contemplate and consider one of their reasons to live. Strong engagement is necessary for a high quality assessment, restoring hope, and engaging the patient in any subsequent treatment plans. Clinicians need to consider their own personal safety when working with a suicidal patient, as well as others such as the patient’s partner and children. Factors such as whether the patient has ever harmed anyone else, has felt the need to arm themselves, or has had thoughts that it would be better to die with their partner or children all need to be addressed during patient assessment (5). Co-morbidity: the presence of more than one disorder such as psychiatric disorders or substance abuse. Patients who have multiple diagnoses of mental illnesses or rely on drugs or alcohol are more likely to display behaviour in which they think about suicide, or plan and sometimes even attempt suicide. There is strong statistical evidence which shows that 30-50% of people who have committed suicide in Australia had drugs or alcohol in their system. Deliberate self-harm: the risk of someone committing suicide after a year of on-going self-harm is up to 100 times greater than the risk in the general population. The more serious suicidal intent at the time of self-harming increases the risk of a subsequent suicide. Feelings of hopelessness, desperation and emotional pain are a strong deciding factor in suicide. Mental illness: the presence of a mental illness which causes patients to have suicidal thoughts, hallucinations, and behaviours, along with refusal or reluctance in complying with treatments can all encourage patients to self-harm and commit suicide. Chronic pain and physical illness, especially in the elderly, has been associated with a higher suicide risk as patients consider it an escape from the pain. Patients diagnosed with a somatic illness such as cancer, cardiac diseases, or neurological diseases which can have multiple painful symptoms are also at a high risk and may consider suicide as a problem-solving solution. Previous suicide attempts: many studies show that people who have already attempted suicide once are at a high risk of attempting suicide again. Yet it is also estimated that up to 70% of completed suicides are done so on the first known attempt. Multiple stressful life events, such as conflicts or loss of a close relationship, job termination, financial stress, declining health, or moments of failure and rejection are usually deciding factors in completed suicides. In order to manage any moments of challenging behaviours, there needs to be a maximised safe environment. Clinicians need to enquire about social support, including individuals, organisations, and activities which can all be crucial to planning a safe clinical intervention. 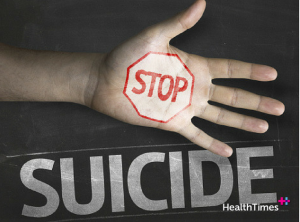 If a patient is considered high risk for suicide, they should be re-assessed after 24 hours. Medium risk patients should be re-assessed within one week and low risk patients within one month. Patients who have a mental illness may require active treatment of their affective symptoms so that adherence to treatment is improved. Some medicines can have anti-suicidal effects such as clozapine and lithium, yet healthcare providers must remain vigilant in these patients, especially in situations where they are faced with significant personal losses. Patients who are admitted to hospital due to an imminent suicide risk need to be continuously monitored and a collaborative monitoring plan with the patient and their social support may need to be devised (5).